PAXARMS BIOPSY DART design is the direct result of over 30 years developing specialty darts for remotely taking blubber and skin samples from marine mammals. Constantly developed to minimise harm whilst yielding a high sample retention rate. Our FLOATATION DARTS come in both STANDARD and LARGE sizes. The LARGE size chamber is ideal for larger cutting heads when you need that extra buoyancy. PAXARMS CUTTING HEADS were the first to popularise the now ubiquitous three internal prong sample retention design. Our cutting heads are available in a wide range of dimensions to suit your specific needs. Measurements are internal sample diameter by sample length in mm. For use on marine animals with fur such as seals and for sampling land mammals you can add our additional weights into the back of our cutting heads, ensuring you have that additional force required to ensure a sample through thick fur. 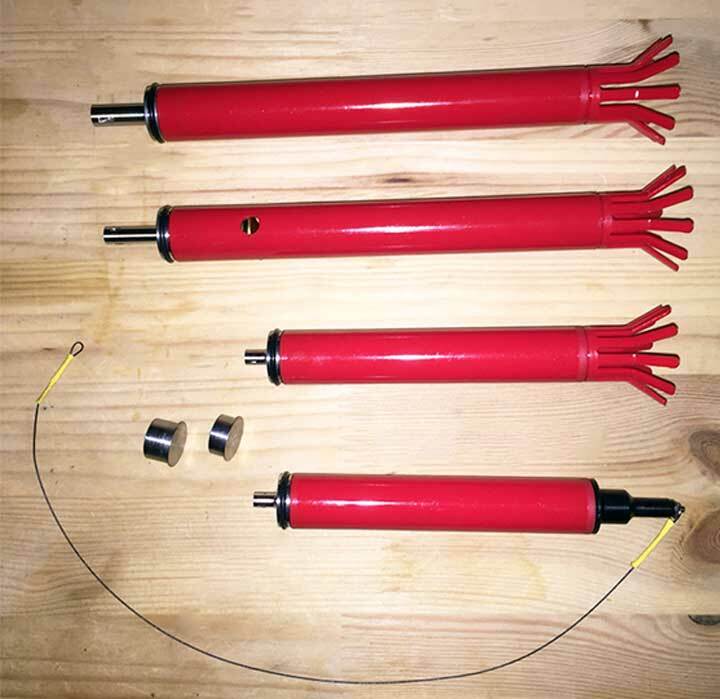 PAXARMS TETHERED LINE DARTS can be used with our TETHER REEL BARREL or for distances under 15m wound off the end of the barrel. Suited for those times when retrieval is difficult or you don’t wish to disturb the animal retrieving the darts. PAXARMS POLAR BEAR MARKING DART is the perfect solution for those collecting multiple biopsy samples whilst identifying those animals already sampled. The weighted darts are available as TETHERED and with FLIGHTS. Darts leave distinctive STAR SHAPED ink marks on biopsy sight.